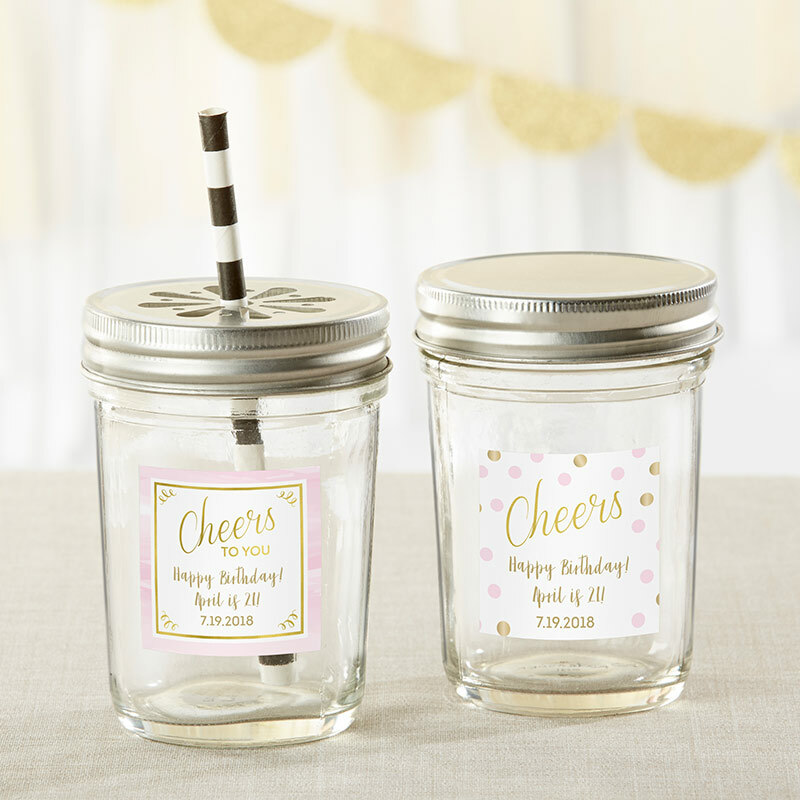 Polka dots or a fancy border - which one will you choose to adorn Kate Aspen's Personalized Glass Mason Jar - Birthday For Her? 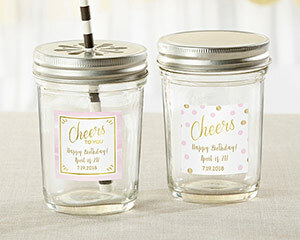 Once you pick your sticker design, add your personalized details like your name or birth date. Then the fun begins - add candies, treats or beverages to round things out!